If you want to expand your understanding of, or research into, classical literature and language then this programme offers you the perfect opportunity to do just that. Our Classics MA also provides postgraduates with the ideal foundation for conducting research at doctoral level. Our Classics department has an excellent track record in producing publications that advance the understanding of the ancient world. A thriving and internationally recognised centre of excellence in research and teaching, the department is home to two College Research Centres - Centre for the Reception of Greece and Rome (CRGR) and the Centre for Oratory and Rhetoric (COR). Research in the department covers the whole range of Classical Studies, from Homeric Greece to the very end of the Roman Empire with particular interests in language, literature, history, ancient philosophy as well as Greek and Roman archaeology. In classical language, literature and thought we are particularly well equipped to supervise dissertations on: Homer, epic tradition, Greek drama, the ancient novel, Greek literature under the Roman Empire, ancient rhetoric and oratory, Latin epic and elegy, ancient myth, ancient philosophy (especially Neoplatonism) and classical reception. Who Owns the Roman Past? Taught modules will normally be completed by the end of the second term, with the dissertation occupying the summer. The Research Training in Classics module is not assessed, but attendance is compulsory. Part time students will take two taught modules in their first year, and a third taught module plus dissertation in their second year. Each of these elements will normally be examined in the year in which it is taken. 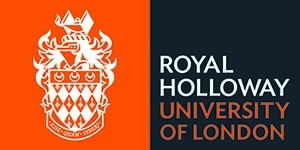 Visit the Classics MA page on the Royal Holloway, University of London website for more details!